There’s nothing wrong with mixing in a little pleasure with your business. In fact, when it comes to sprucing up your tech accessories, I strongly encourage it! Every iPhone, iPad and laptop case is a chance to make a fashion statement (which if you’re like me, means bright red). Stylish ear buds and travel adapters really take things to the next level though! 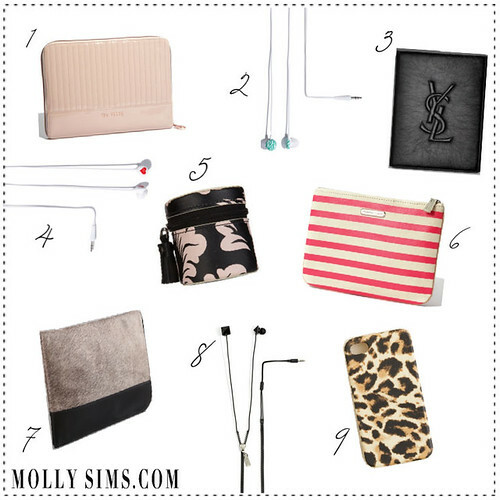 What do you think of these stylish tech-cessories? Belt bags were one of the biggest comeback in 2017. Let’s think of a fanny pack, but then make it a lot chicer. A belt bag is often made of rich leather with a designer label. However, you don’t have to get a designer belt bag if that doesn’t work for your wallet.